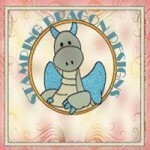 My partner for the January Card Swap on the “Stamping Dragon Designs” group on FB was Lynne Walker. 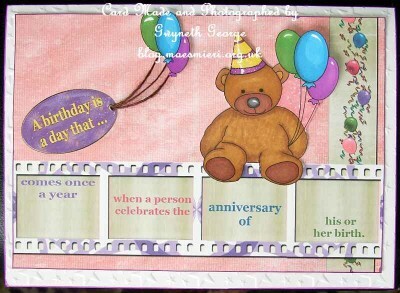 Photos of the card I received from her, together with the card I sent her, and the details of what I used to make it, can be seen below. 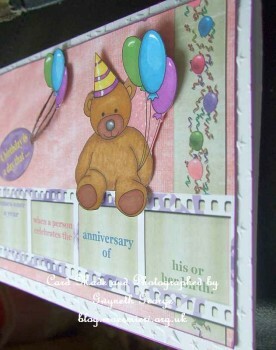 The theme for the January Card Swap was “Birthday”. 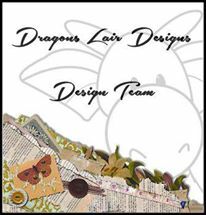 January Card Swap on the Stamping Dragon Designs FB group – this is the card I received from Lynne. 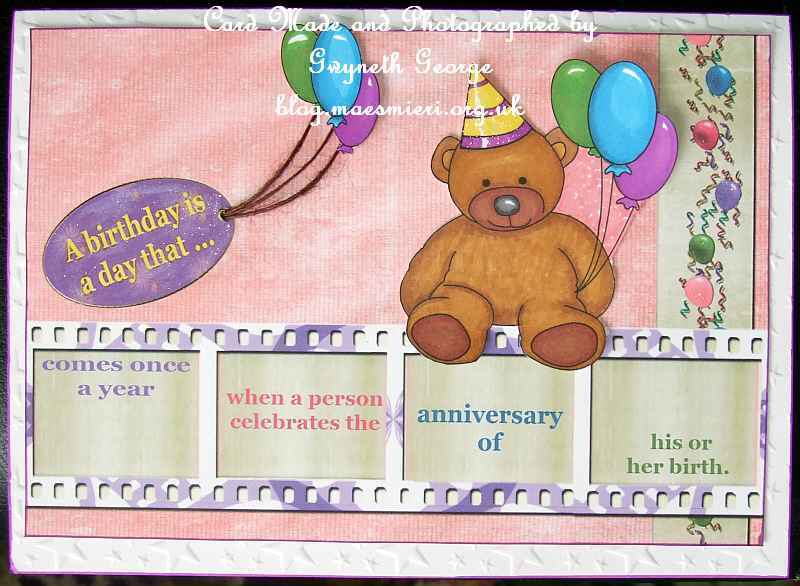 Thank you so much Lynne. 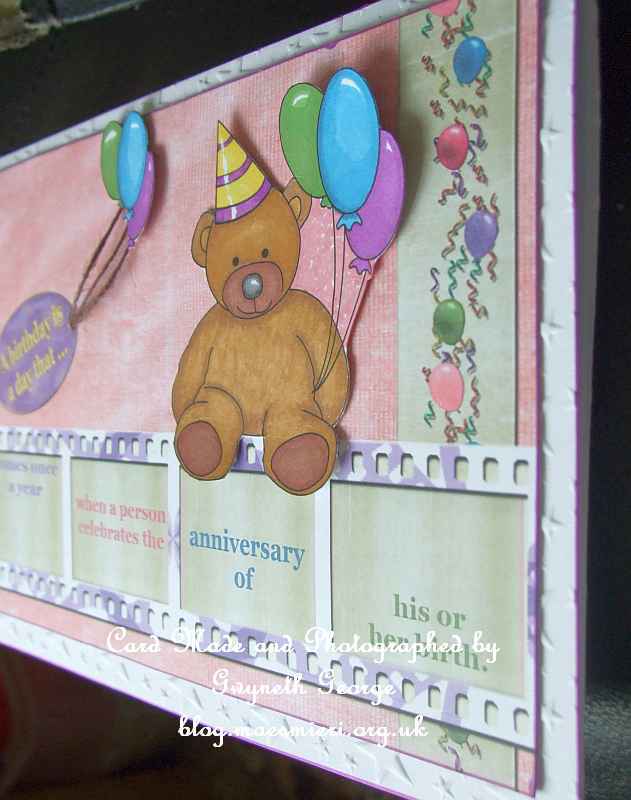 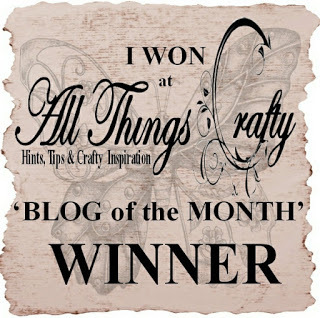 I love the colours you’ve used to colour in the digi-stamp and the embelishments you’ve used. 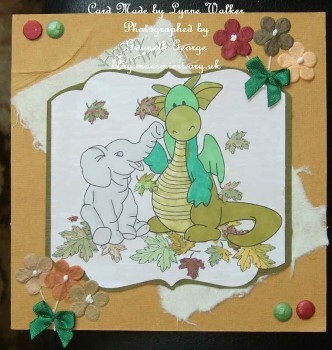 Lynne’s used the “Nellie & Rupert Autumn Leaves” digi stamp on her lovely creation. This next one is the card that I sent Lynne – I’ve used several digital downloads created by Janette Padley of Stamping Dragon Designs on this card.